Golden State leads the 7 game series 2-0. Stephen Curry shot a un-matched 33 points on the night as he ensured that his Warriors side took a commanding lead in the NBA Finals 2018. Having won game 1 on Friday, the Warriors won 122-103 and now take a two nil lead in the series, the same scenario that happened last year against the Cavs. Golden State never trailed in the contest, and ran away with the game in the fourth quarter behind one of the best shooting performances in NBA Finals history. 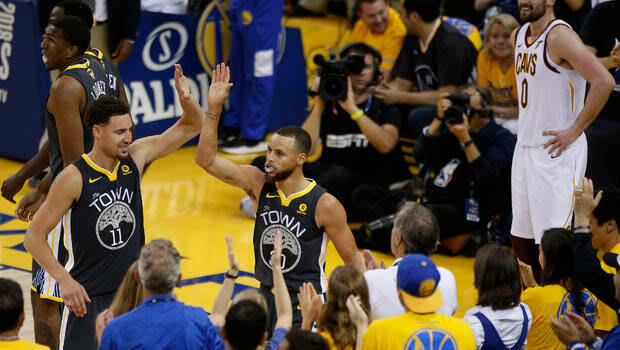 Curry added eight assists and seven rebounds to cap an impressive performance and in process broke Ray Allen’s NBA Finals record with nine three-pointers. The performance last night surely puts him within striking distance of the one thing missing from his basketball résumé: MVP of the NBA Finals. After finishing with 29 points, nine assists and six rebounds in Game 1, Curry followed it up with a huge Game 2, and he easily has been Golden State’s best and most important player. And while there is still an awful lot of basketball left to be played — remember, it was only two years ago that the Cavaliers trailed the Warriors 3-1 in the Finals and won the last three games to claim the title — the path to a Golden State championship, with Curry at the forefront, has never looked clearer. 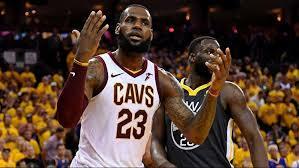 He tore apart Cleveland in the fourth quarter, going 5/5 from three-point distance, including not only the heave from the wing that beat the shot clock but also a corner three that turned into a four-point play when he was fouled by Love. “No matter where you are on the court, especially past half court on their side, said Cleveland’s Kevin Love on Curry after the game. “He always has a chance to make a miraculous shot. Curry didn’t do it alone, despite being listed as questionable until an hour before tip-off, Klay Thompson not only managed to participate in Sunday’s game, but provided the kind of production you wouldn’t expect from someone nursing a sore left leg. When Curry wasn’t providing points in bunches, his fellow Splash Brother provided some insurance. Thompson finished the game with 20 points, but 17 of those came in the first and third quarters. 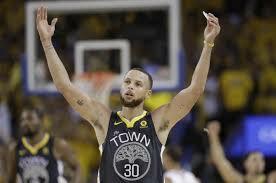 He knocked down three three-pointers in the contest to become the sixth player in NBA history to make 300 career postseason threes, joining Curry as the second Warrior to do so. Additionally, Game 2 marked Thompson’s 100th career playoff game, making him the first player in franchise history to appear in 100 postseason games with the Warriors. In nearly 40 minutes, Cleveland’s LeBron James scored 27 points, grabbed eight rebounds and dished out 13 assists. That will be seen by some as a disappointment after going for 51 points, eight rebounds and eight assists in Cleveland’s narrow loss in Game 1, but only because that is the level of greatness James puts on display every single night. After taking the first two games of the series at home, the Warriors will try to recreate the events of one year ago when they travel to Cleveland to take on the Cavs in Game 3 on Thursday morning.